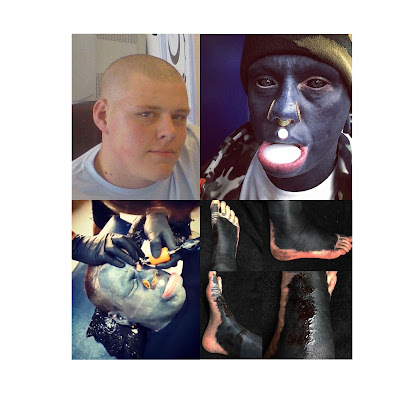 According to Sun U.K, Eli Ink, underwent a 10-year transformation to turn himself into a walking exhibition of his tats. Mr Ink uses several coats of black colouring to permanently blacken his skin. He also implanted huge stretchers in his nose and under his bottom lip as part of his body-modification process. The artist even went as far as dying his eyes to complete the striking look.